The old fairground saying – what you lose on the swings you gain on the roundabouts – might apply to a number of sectors where the economic cycles of expansion, contraction and growth once again are readily managed by companies following periods of releasing and then recruiting people. However, when the energy industry needs to compete to attract talent, leaving it to ‘natural’ cycles alone – for HR teams to respond to when need arises – is not enough. Given the energy industry underpins daily life and brings such value to society, it’s industry-wide collaboration, facilitated and supported by independent bodies like the EI, that is needed beyond, and in support of, what individual companies need to do. And, the companies need to get behind that approach to build critical mass and recognise it’s about reputation too. 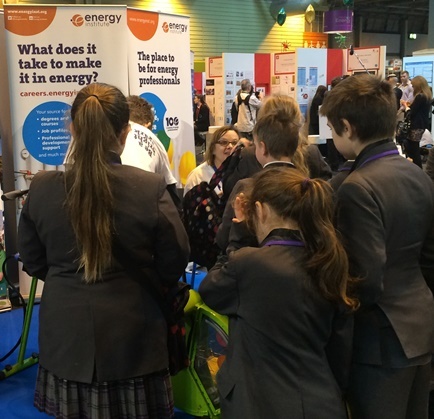 Last week the EI supported the Big Bang UK Young Scientists and Engineers Fair which hosted 75,000 children, parents and teachers to a festival of what Science, Technology, Engineering and Maths (STEM) careers can offer. By no coincidence its also British Science Week which is a ten-day celebration of science, technology, engineering and maths – featuring fascinating, entertaining and engaging events and activities across the UK for people of all ages. And to do their bit, the Department for Energy and Climate Change hosted the My Energy Job online energy careers fair which the EI also supported. The EI is promoting and hosting the development of DECC’s POWERful Women initiative as well as supporting pan-industry declarations in science and engineering to improve diversity, equality and inclusion. EI is also investing to develop its Young Professionals Networks, Student Chapters and Mentoring Schemes as well as looking at innovative ways to connect growing professionals with experienced ones. Why? Because developing people is a long term investment and for an industry to really prosper and add value to society in the way that energy needs to, its continuous promotion, even when times are more challenging, is essential to building the pipeline of talent we need – roundabouts not rollercoasters.